Squarespace today announced its first major platform update in two years: Squarespace 7, adding new splash pages, templates and integrations with Getty Images and Google Apps. The release advances the completely rebuilt codebase that arrived with the release of Squarespace 6 in 2012. Squarespace 7 will become available in waves to customers starting tonight. Customers can opt-in to the platform, or choose to hold off on upgrading during the early transition. Today’s launch also includes the official release of Squarespace’s Blog and Note Android apps, which emerged in public beta last month. Squarespace has also graduated its developer platform from beta. The Getty Images deal offers subscribers a subset – tens of millions – of editorial and creative images at the price of $10 per image. Google Apps for Work integration is available for $5 per month. With the exception of those two new partnerships, Squarespace’s pricing hasn’t changed. Squarespace 7 also includes a new preview interface for editing your site. The right side of the page will include the preview of your content, while the menu will been compressed to the left. Adjusting the size of your browser window calls up varying device silhouettes to show you how your site will look on tablets and smartphones. Cover Pages offers customers new splash templates that can either sit on top of an existing Squarespace site or serve as a minimalist landing page. 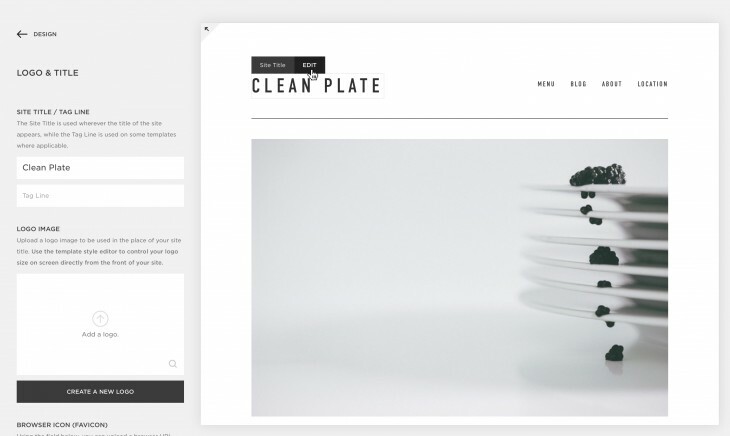 Squarespace has also added 15 new templates centered around specific website categories. Squarespace founder and CEO Anthony Casalena launched the company from his dorm room at the University of Maryland 10 years ago. The company now has 380 employees with over 2 million websites created on its platform. In April, Squarespace raised a $40 million Series B funding round.